Zimbabwe Defence Forces (ZDF) Commander General Philip Valerio Sibanda yesterday assured the nation that the country remains safe and secure despite the recent politically motivated violence that erupted in Harare, a day after this year’s harmonised elections. He said the ZDF will remain resolute in its support for the Zimbabwe Republic Police as it discharges its constitutional mandate. 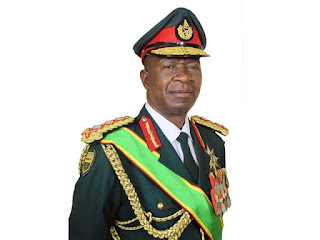 In an interview yesterday ahead of the Zimbabwe Defence Forces Day today, Gen Sibanda said the country had continued to enjoy peace, security and stability during the harmonised. “Zimbabwe remains secure despite the recent politically motivated violence that erupted a day after the harmonised elections on 30 July 2018,” he said. “That notwithstanding, the country has continued to enjoy peace, security and stability during the harmonised elections. “Had it not been for evil intentions of some opposition political players who went on to incite violent protests, unnecessary loss of life of six people who were caught up in the unfortunate shooting incidents could have been avoided. Gen Sibanda said the ZDF had a number of peacetime operational commitments which they have accomplished and these included internal security operations such as border control operations, guarding key points, demining operations and external commitments. On border control operations, he said they were mounted in support of the ZRP to curb incidents of illegal border crossing and smuggling of various commodities. Gen Sibanda said on external commitments, they continued to contribute officers to regional and international peace support operations under the auspices of Sadc, AU and the United Nations. “We have a total of 19 officers deployed in Ethiopia, Sudan (Darfur), Sudan (Abyei), South Sudan, USA and in Lesotho,” he said. Gen Sibanda said other officers were seconded to the Ministry of Agriculture, Lands and Rural Resettlement where they were deployed countrywide to assist with efficient management of Command Agriculture to enhance food security. He said the ZDF was committed to assisting marginalised communities as part of its social responsibility under the Military Aid to Civil Communities. On training of members, Gen Sibanda said the ZDF spared no effort in ensuring that its members were fit at all times and they achieved that through re-training. Gen Sibanda said they expected the country’s economy to improve. He said recently, the ZDF, together with other public servants, received a special allowance which had significantly improved income levels of its members, thereby boosting their morale. He said they were also doing their best to continue providing free medical treatment to members and their dependants, in line with Defence Conditions of Service. Gen Sibanda said they had also assisted a number of its members to obtain residential stands in urban areas through the Zimbabwe Defence Forces Benefit Fund.